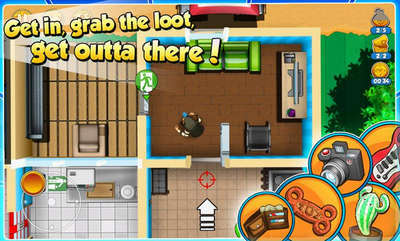 Robbery Bob is back again for more sneaking and looting in Robbery Bob 2. Play as king of thieves and get past secure locations, and avoid traps to get your hands on as much booty as possible. Screenshots and more details about the game at Google Play. Install v1.5 Apk, Extract DATA folder ‘com.chillingo.robberybob2.android.gplay’ to sdcard/Android/obb, then Launch the Game.